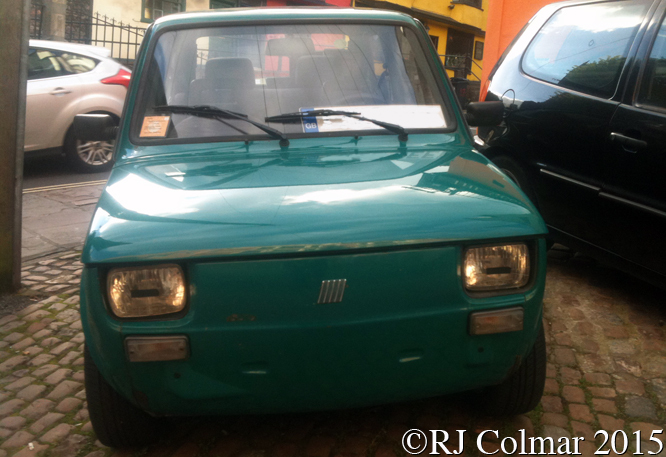 Based on the little FIAT 500, Cinquecento, floor plan with the same 23hp 594 cc engine the otherwise all new FIAT 126 was launched at the Turin Show in October 1972. Five years later a larger capacity 652cc engine was introduced that offered more torque, pulling power, though there was no increase in horse power. 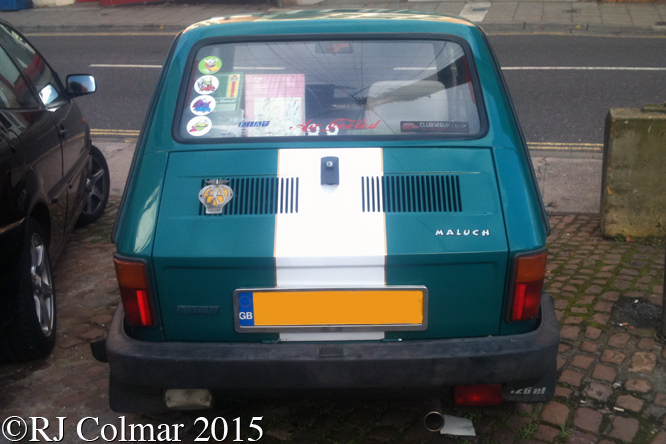 As if to confirm the growing maturity of the car market in western Europe the FIAT 126 was never as popular as the FIAT 500 had been, but in emergent Eastern European market the model easily out sold those sold in the West. 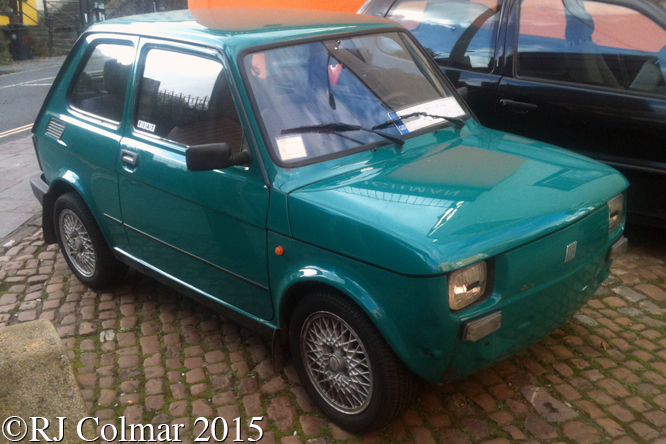 Production of the 126 in Poland, where the model was also manufactured with the 126p model name and production did not cease until 2000, in particular outnumbered the production of the 126 in Italy, where production ended in 1980, by nearly three to one, 2,069 126’s were manufactured in Austria by Fiat-Steyr and an unknown number of Zastava 126’s were built in the former Yugoslavia, now Serbia. The 126 was continuously upgraded while in production in Poland, culminating in 1997 with the ELX that featured a catalytic converter and the adoption of the Polish nick name Malusch meaning “toddler” or “small one”. 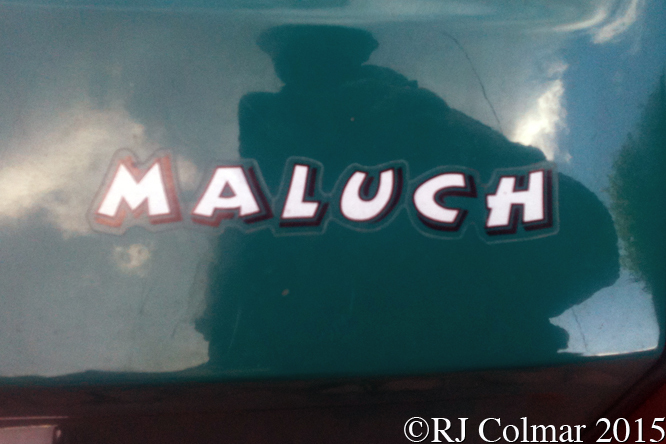 The 1999 left hand drive Malusch seen in these photograph’s in Bristol was first registered in the UK on the 1st of September 2015. Thanks for joining me on this “Malusch” edition of “Gettin’ a li’l psycho on tyres I hope you will join me again tomorrow when I’ll be looking at another the last in the current series of 500 F3 cars. Don’t forget to come back now ! 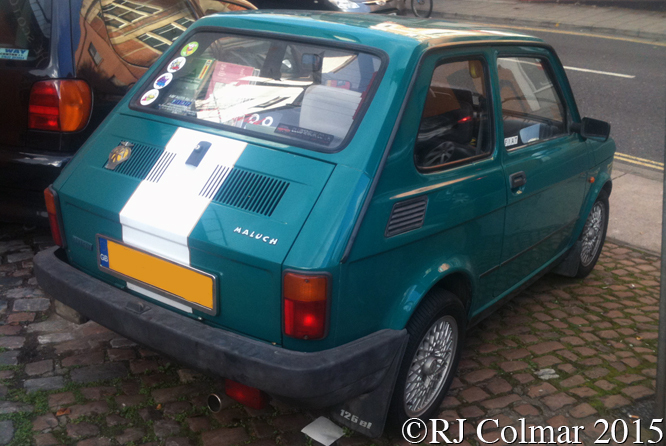 This entry was posted in Uncategorized and tagged 126, 500, Bristol, Colmar, ELX, Fiat, Maluch, Psychoontyres, Ralph, Steyer, Zastava on March 25, 2016 by Ralph.